These pump cams are made in the USA in a non-union shop out of 8620 gas carburized steel. 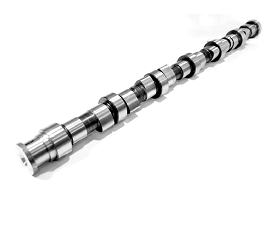 They feature the same lift as the OEM cam, but greatly shorten the number of degrees of total injection, while greatly increasing the amount of fill-time. This cam needs to be installed by qualified professionals only. Use in 16mm pumps at your own risk. 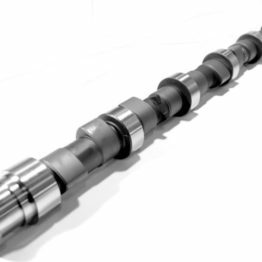 If you do decide to run 16mm plungers and barrels, may we suggest staying under 950cc of fuel max, setting LPC at 4.5mm max, DLC coating your pins and rollers and running a minimum of 5x.030″ triple feed injectors. 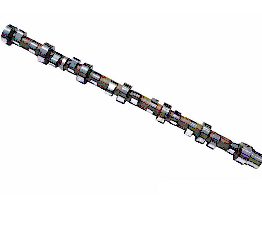 All of our injection components are for off-road use only. Buyer accepts all liability for their use. P-pumps in performance applications can occasionally stick the rack, which allows the pump to keep fueling until there is a loss of, air via an air-shutoff, until the mechanical limits of the motor are reached, or you run out of road. If the latter two are the case, expect to have help picking up pieces……. 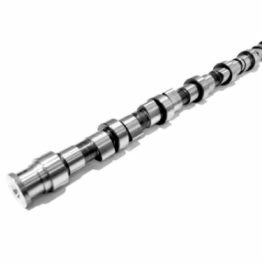 In a 13mm pump, this cam injects a maximum of 5.681cc per degree at maximum velocity compared to 5.100cc per degree with a stock 180hp/215hp cam. Not only does it have a higher total velocity but it has a higher average across any .250″ of the cam. If the cam is setup properly in your pump, wider power band, 10-80hp gains, better throttle response and better fuel economy have been reported.